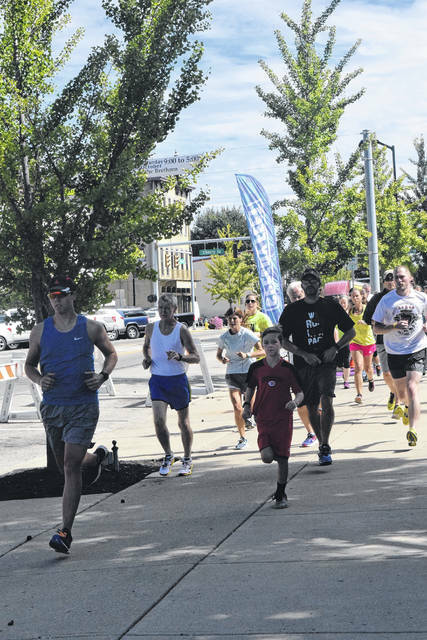 Some 72 participants took part in the 10th annual Victim Witness 5K Run/Walk on Sunday, Sept. 23. The event is held to bring together families and survivors of crime and to raise awareness for the Preble County Victim Witness Program. 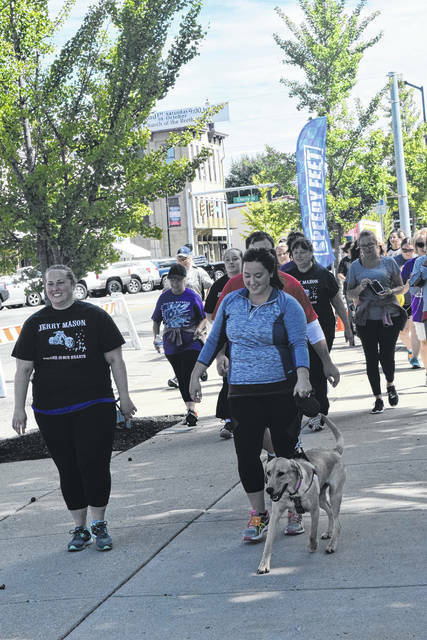 EATON — Approximately 72 participants took part in the 10th Annual Victim Witness 5K Run/Walk on Sunday, Sept. 23. 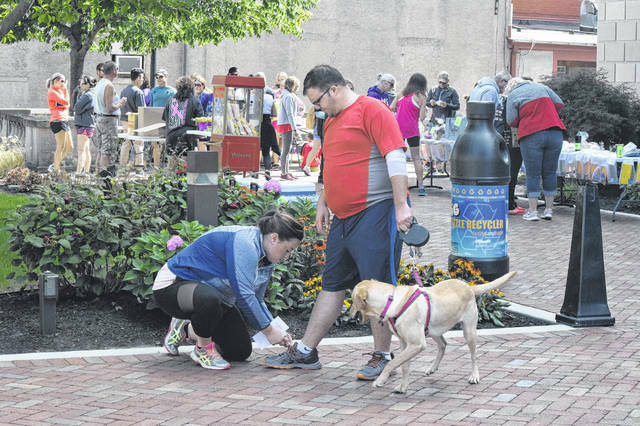 The event is held each year to bring together families and survivors of crime, and to raise awareness for the Preble County Victim Witness Program. This year saw an increase in registrations, as last year only 37 people registered. The money this race raised are funds whichwill help victims of crime in the county, according to organizers. 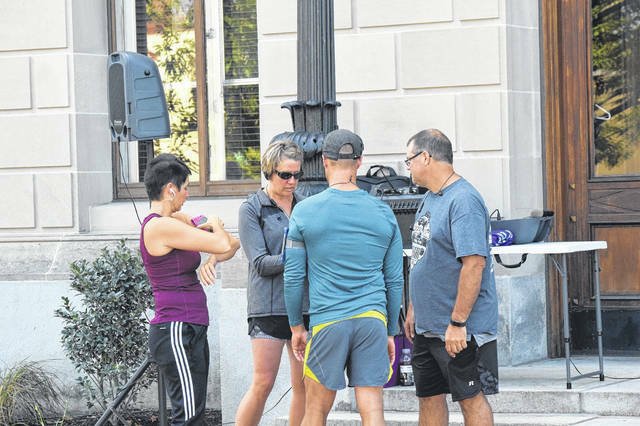 While the race used to be held during National Crime Victims’ Rights Week in the spring, the program decided to move the race to the fall in a bid for better weather. According to Victim Witness Director Brenda Miller, after event expenses, 100 percent of all donations are used exclusively for the benefit of victims of crime in Preble County, and their families. In the past, these funds have been used for hotel rooms for victims, supplies for families and victims, and training for the office. The money is there to use for the program when it is needed. To celebrate the 10th anniversary, Victim Witness held several different raffles, where participants could enter for the prize they wanted. 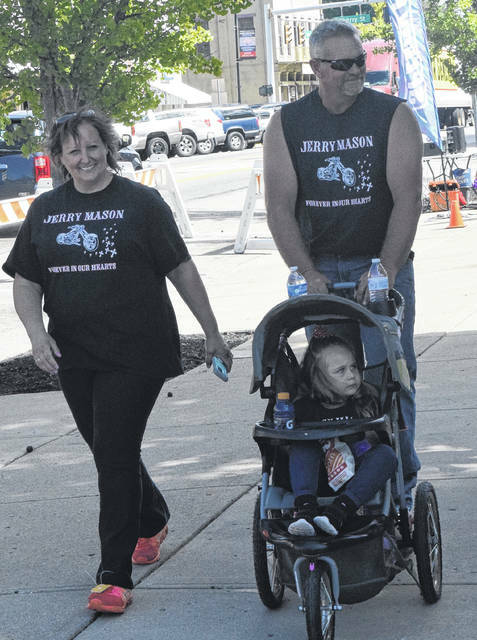 After the race, organizers held the annual cookout, where families could interact and find solace in each other. “[The 5K] was developed to bring our families together, especially the ones that have lost a victim or family member to a crime. We encourage them to wear T-shirts and walk in their memory. A lot of the families will wear personalized T-shirts to honor those they lost,” Miller explained. 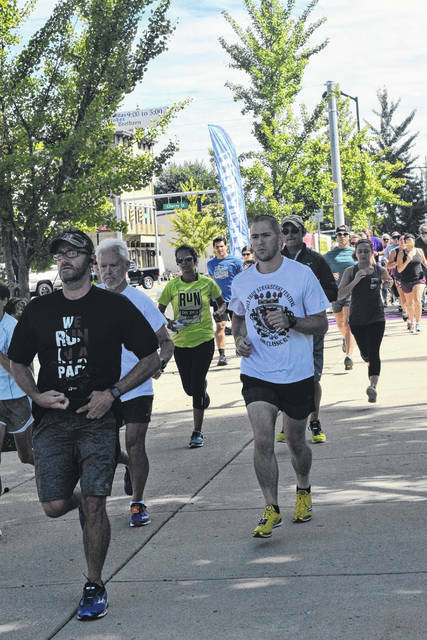 The walk/run is not just for families who have lost someone to a crime, but to all victims of crimes. It is a time to raise awareness and show support for all who have suffered a crime. “You don’t have to have had a family member that lost their life to a crime. 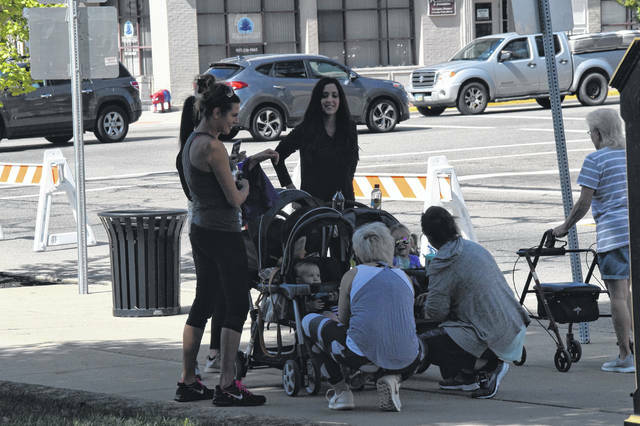 You can be walking in support of a victim of domestic violence or anyone that you know who has been a victim of a crime,” Miller said. “Or, you could walk for someone that you don’t know. I know there are people who participate in this who may not have been through our office, but realize what this race supports and they want to show their support for it,” Victim Witness Advocate Jenni Baker added. For participant and domestic violence survivor Brittnie Campbell, the Victim Witness program supported her when she needed it most. She does not believe she would have survived if not for the program. “In 2015 and 2016, I was assaulted by my ex-boyfriend, which resulted in me having two brain bleeds and having two complete craniotomy brain surgeries. For awhile, I had stroke-like symptoms on my right side. I lost control of my right hand and foot, and my ability to speak at some point. I had two whole brain surgeries, because of violence,” she said. “I came out today, not for me, but for the other people who may see me as being someone who has been able to turn around my circumstances and situation and come out better than I was before this happened to me. I think that I have been given another chance at life. I know my story might help some people and might help someone get out of the situation they are in,” she said. Miller added, the program would like to thank all its sponsors for making the race possible and a continued success. 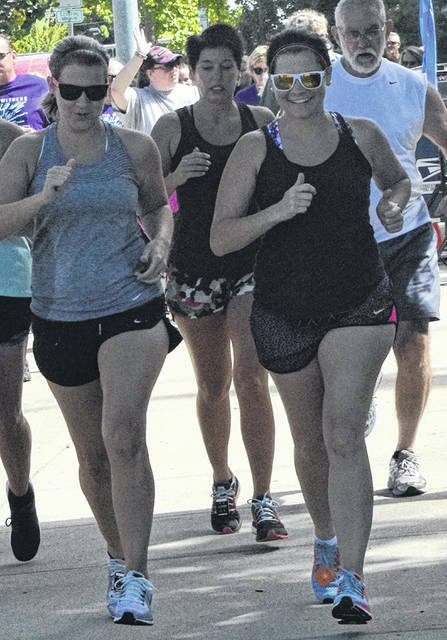 https://www.registerherald.com/wp-content/uploads/sites/41/2018/09/web1_5K8.jpgSome 72 participants took part in the 10th annual Victim Witness 5K Run/Walk on Sunday, Sept. 23. The event is held to bring together families and survivors of crime and to raise awareness for the Preble County Victim Witness Program.